The greatest ideas are the simplest. You’ve probably heard this saying a million times, but like all clichés, it holds an important truth. To find the best example of how simplicity is the road to success, especially when it comes to startup companies, you don’t need to look further than Uber. What only five years ago started as a simple concept for a taxi alternative; an on demand app based ride sharing service is now the most valuable startup company in the world. In 2008, Uber founders Travis Kalanick and Garrett Camp came up with the idea of developing an app to help people find closest available vehicles for sharing a ride. By 2015, the two creatives succeeded in turning their project into a $50 billion dollar company operating in over 70 markets across the world. Not only is the idea behind Uber so deliciously straightforward, its practical use is informed by the same principle of simplicity. The app is so convenient and easy to use that it’s hard to imagine why someone would choose to look for a ride in any other way than by using Uber. Once you download the free app on your smartphone or tablet, you’ll never again have to worry about getting to your destination on time. Uber lists all the closest available vehicles in your area and all it asks you to do is pick the one you want and order the ride. It’s so refreshingly simple that it’s hard to believe it’s only been around for five years! The people behind the Uber app are some of the most creative and forward-looking individuals in the business, and they’re always thinking up new ways of improving customer experience. The company has even branched out into other markets with two new on-demand services: a carpooling service UberPOOL in San Francisco and a food delivery service UberFRESH in Santa Monica. Uber also recently announced that they had begun testing their very first self-driving vehicles. All of this just proves that the secret behind Uber’s success is not a case of mere beginner’s luck. In addition to the remarkable simplicity of the entire concept, Uber owes its success to its creators’ genuine problem-solving attitude and tireless work ethic – the two of the best qualities entrepreneurs can have. Related: Uber vs Taxi: Which is the Best? While Uber’s road to global success was astonishingly quick, it hasn’t always been smooth. The bulk of criticism directed at Uber has come as a result of the company’s competitive attitude toward the taxi industry, perceived by many to be overly aggressive in its tactics. The company has also been embroiled in several class-action lawsuits brought on by drivers seeking to be treated as employees instead of independent contractors. 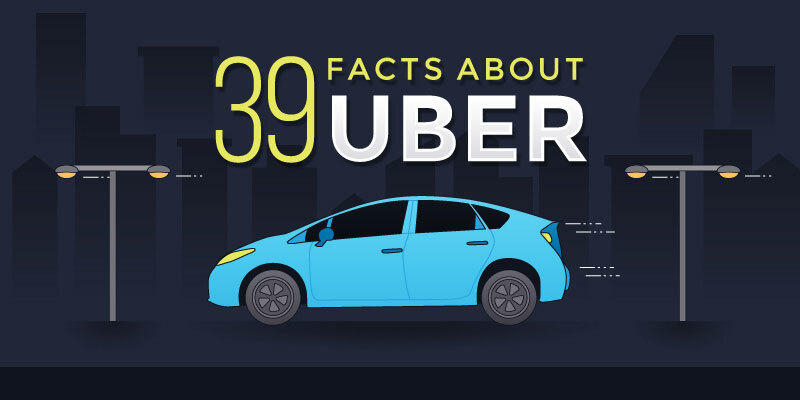 Despite the occasional bumps in the road, Uber has managed not only to stay afloat, but to establish itself as the most popular on- demand transportation service operating in over 400 cities across the globe. For more interesting facts about one of the most incredible startup success stories to come out of Silicon Valley in recent history, check out the infogrpahic below. Great! Thanks for sharing this beautiful infographics. Uber application has been a great way to travel around in many cities in the world.